To see what our Lifetime Warranty is all about...Watch This! New Subaru and Used Car Dealership - Serving drivers from Milford, CT, Branford, Wallingford, Trumbull, Stratford, and New Haven, CT! Welcome to Dan Perkins Subaru. Take a look around our website to find resources aimed at helping people shop for, finance, and take care of quality Subaru vehicles near Branford. We make shopping for a new Subaru easy. Browse our new inventory online and you'll see a range of options for many models. From the Impreza and Crosstrek to the Forester , Outback, and the Ascent you can explore the full Subaru lineup with varying features, capabilities, and price tags. If you're not sure which is right for you, chat with a member of our sales staff. They can assess your budget and driving priorities to recommend the best Subaru match. You can also request a test drive to get a feel for any vehicle yourself. If you find yourself balking at the price tag of a brand-new model, you can always turn to our used car inventory near Trumbull and Stratford. There, you'll discover a wide variety of makes and models with previous experience on the roads around Wallingford. Many of these models come with low mileage while also offering price tags thousands of dollars lower than a new model. If you have your heart set on a quality Subaru, but can't afford a brand-new model, check out our used Subaru models. These vehicles are previously loved, but they come with a stamp of approval for quality straight from Subaru. You won't be on your own when it comes to financing your new car at Dan Perkins Subaru -- we provide a full team of finance professionals who are here to make sure you have an easy financing experience. They'll sit down with you to determine which financing route is best for your budget and preferred vehicle. Then, you can submit an application. You can count on our team to work a range of lenders to find the best auto loan rates and have leasing options too. Proper routine maintenance is the keystone to longevity for any Subaru model -- including yours. 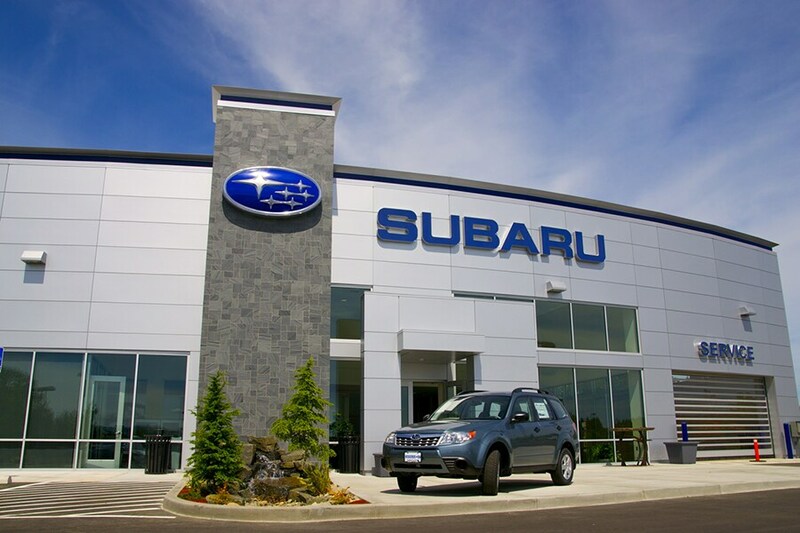 The Subaru service center at our dealership can provide the maintenance your car needs -- both planned and unplanned. Whether you're visiting for scheduled services or unexpected repairs, our team of Subaru technicians is ready to take care of you. Plus, our team is more than qualified to work on models from other manufactures. To plan your first service appointment, use our online scheduler. You can pick out the specific dates and times that work well with your schedule. From time to time, parts in your car may wear out. When it's time to look for Subaru replacement components, chat with our parts center. Each member of our parts team has an in-depth knowledge of vehicle components and access to an extensive Subaru parts database. They'll make sure you get the parts that fit your car correctly. Plus, our parts specials help local shoppers get impressive deals on popular parts purchases. If you're pressed for time, submit a parts request online. We'll review the request and follow up promptly. We'll let you know which specific part is right for your vehicle, how much it costs, and whether we have it on hand. If your part is not in our inventory, we can order it for delivery. No matter your reasoning for visiting, you can count on Dan Perkins Automotive services. You can reach our location just south of Milford off of US-1. To get directions, take a look at our map tool. Type in your street and ZIP code to get a simple route from your location. You can also reach out to a member of our staff on the phone for additional help with directions.